Yi Chen and Mo Sheng visit the States. Xin Ying comes by to thank Ying Hui for the job he helped her find. She brings by some coca cola chicken wings for him, and complains about how her husband is suspicious of her fidelity. He tells her to value her marriage since she already got married. Once she leaves, he asks Linda to dump the wings. After all, Ying Hui has got bigger fish to fry – he is under a lot of pressure because his company is going under from the fake financial report incident and Smith is warning him to not further ruin his reputation by exposing his divorce case to public. Xin Ying goes to the airport to say goodbye to Ying Hui, but Linda tells her off, saying that she should keep her distance as a friend and not overstep the boundaries. Ying Hui takes off in order to deal with the lawsuit while Xin Ying goes home to her husband who is busy cooking her favorites. Xin Ying is increasingly unhappy with her husband and returns to her parent’s home. 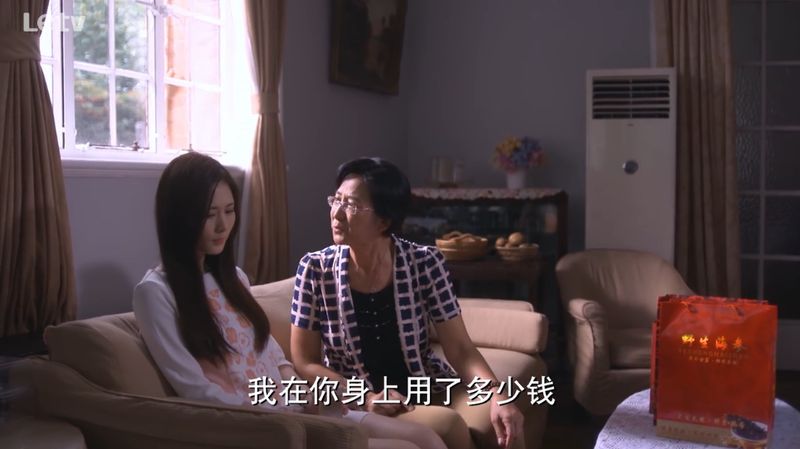 This is where we learn the reason Xin Ying broke up with Ying Hui – her mother is a total gold digger and didn’t like Ying Hui back in the days because he was poor, but now she’s all for her daughter getting a divorce in favor of pursuing a future with Ying Hui. Geez, what a great mother she is! And of course, let none of us be surprised when Xin Ying seriously consider listening to her mom. Guess who else is also desperate? Mi Fei Er! She just lost her inheritance case, but she is not ready to give up yet, so she comes crawling. Mi Fei Er is upset that she had already waited for half an hour, but Lawyer Yuan explains that Yi Chen is busy all day with previously scheduled appointments. Yi Chen is just about to call Mi Fei Er to come in when he gets a call from Mo Sheng to talk about the wedding. 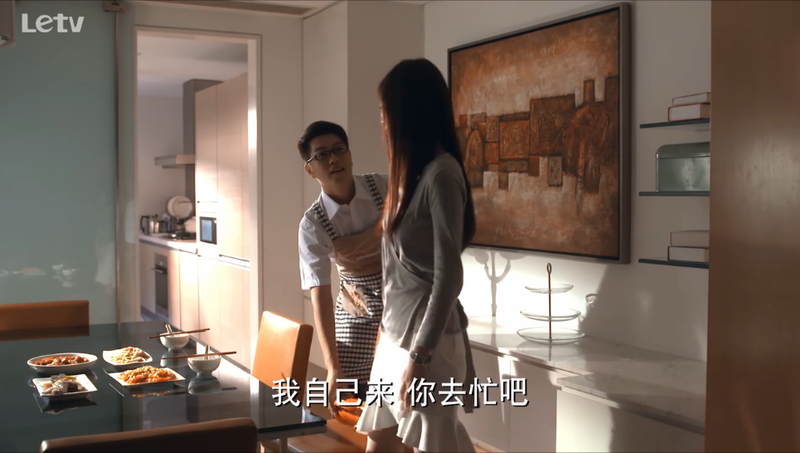 Mi Fei Er runs up the stairs interrupts Yi Chen to demand him as her lawyer. She tries to entice him with money and even insults him by insinuating that he married a rich man’s ex-wife for her money. And she still thinks Yi Chen will accept her case? Dream on! Mo Sheng runs over to the law firm to “seek revenge,” but Yi Chen comforts her by saying he already rejected Mi Fei Er. Mo Sheng takes this opportunity to suggest visiting the States to complete her divorce process before the wedding. Yi Chen compliments her by saying she is suddenly growing up. Then Yi Chen asks his secretary to book a flight to States, telling Mo Sheng that if she’s to go to court she needs to bring her lawyer. Dude, they have a lot of vacation days or something? Even Mo Sheng wonders because she thinks her boss is going to fire her after she gets back since she literally just returned from Mauritius. He replies that that might be perfect because then she won’t run around everywhere. The two snuggle up as she tells him that when she first went to the States, a fat uncle sat next to her and how she wished it was him instead. He says he might not get fat in the future, but in a few years he will probably be an uncle. Hahahahah. Mo Sheng and Yi Chen arrive in LA and Yi Chen’s American lawyer friend Jason is there to pick them up. Jason is the total opposite of Yi Chen and Mo Sheng is all like why aren’t you like this too? Anyway, they talk over the case, and Jason says they need a witness to verify that that the document is fake. Yi Chen points out the name “Tom Wolf” on the document and thinks this might be a point of entry. Mo Sheng and Yi Chen enjoy a lovely lunch together and neither of their moods are ruined by this. Mo Sheng secretly tells Yi Chen that she actually worked at this restaurant before and how she was assigned to washing dishes because she couldn’t speak English. She continues to explain that it is only then did she understand how hard it was for him to work while studying as well. But wait, I thought that restaurant is in NY? Aren’t they in LA right now? How does that work? Anyway, we get more flashback about Mo Sheng couldn’t afford more than one month’s rent (again, this is her apartment in Queens, NY). She also had trouble buying textbooks because they were easily a couple of hundreds, but luckily other international students taught her how to buy secondhand books. During weekends she would go to the suburbs to buy groceries because the food would be cheaper than in the city. When she got lonely, she would wish that he is there with her. Awwwww ❤ But seriously girl, you probably could have gotten a roommate or two because your apartment is quite large. her landlady spoke russian to her. when did mo sheng learn russian? Yi Chen asks her why she didn’t come back when she had such a hard time. She tells him that she thought he didn’t want to see her again, and her dad had that scandal at the time. He asks her if she has ever seen any couple who broke up after one fight? She confesses that she thought he was one of those people who mean what they say. Xiao Xiao is also no fan of Mi Fei Er. Apparently at one point Mi Fei Er refused to let models from the countryside wear her clothes.